Oil Spills During the Gulf War Research Papers delve into the environmental terrorism that Saddam Hussein and his Iraqi forces committed. 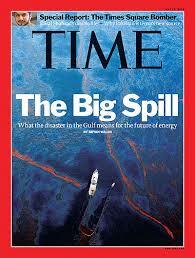 Oil spills during the gulf war were a major problem. Research papers report on how they affected the Gulf region during the time of the Gulf War. Have the military and history writers at Paper Masters explicate the meaning of the spills affect on the War going on. A thorough description of the problem. A discussion of possible positions that may be taken concerning this problem. Demonstrate that although these environmental tragedies occurred during wartime, there is no ethical justification for the destruction that was imposed on the environment. The oil spills were unethical crimes against humanity. In January 1991, Saddam Hussein and his Iraqi forces fighting in the Gulf War committed acts of what some have termed "environmental terrorism" by burning oil wells and releasing crude oil into the Persian Gulf, fouling the water and devastating wildlife. According to reports, the Iraqis set the oil wells on fire to provide a massive smoke shield that was meant to confuse military guidance systems and block the view of military satellites. For the Iraqis, burning of oils was ethically justified because the United States and its allies had attacked Iraq and was attempting to remove Iraqi forces from Kuwait. Because Iraq believed that Kuwait was actually a part of Iraq, they justified their attack on the country. And because they believe they have an ethical right to defend themselves, they justified the burning of wells as a necessary tactic to protect and defend Iraqi forces in Kuwait. However, the when the Iraqi's released crude petroleum into the Persian Gulf, the results were much more tragic for the environment and wildlife, and much less simple to ethically justify. Days after the oil was released, a ten-mile band of crude oil stretched across the Gulf near Kuwait that was described as "so thick in places that the water heaved like mud". Reports contend that Iraq opened the release valves of Kuwait's main supertanker-loading pier, the Sea Island terminal, and pipes leading from storage tanks, poured millions of gallons of crude oil directly into the water. At the same time, Iraq emptied the oil from at least three tankers into the gulf. According to Lacayo, the Iraqis may have released up to 120 million gallons of oil into the gulf, which is more than ten times as much oil as the Exxon Valdez leaked into Alaska's Prince William Sound in 1989 . Moreover, because the spill was in enemy territory, the United States was unable to go in and clean it up as it occurred. Humanity - Humanity research papers narrow down the concept of what exactly humanity is. Gulf of Mexico Oil Spill - Gulf of Mexico Oil Spill research papers examine the events leading up to the big explosion that led to an oil spill and preventative measures that could have been taken. BP's Response to the Gulf Oil Spill - BP's Response to the Gulf Oil Spill was quick to the news that one of its oil rigs had exploded, facing press conferences on a daily basis while fielding questions concerning the accident’s impact of the water pollution on the environment, on the families of the workers who were killed and on the Company’s bottom line. An American Childhood - An American Childhood research papers discuss a book by Anne Dillard that describes her growing up, and her increasing awareness of the world around her. Military Drones - Military Drones research papers examine the technology of unmanned combat vehicles being employed by the military. Order a research paper on military drones from Paper Masters. Afghanistan Troop Withdrawal Plan - America - Osama bin Laden's suspected hatred of the United States stems from the placement of US troops on Saudi soil during the Gulf War. Al-Qaeda History - Al-Qaeda research papers examine the Islamic militant organization founded by Osama bin Laden between 1988 and 1989. The USA Patriot Act of 2001 - Known as the Gulf War, this coalition fought back dictator Saddam Hussein and his troops and restored Kuwaiti leadership in the area. Environmental Politics - Environmental Politics research papers explore the relationship between practical politics and environmental issues. Global Warming - Global Warming research papers are custom written to focus on any issue of environmental ethics or science you wish. Ethical Theories - Ethical Theories research papers discuss the branch of moral philosophy that deals with the concepts of right and wrong. Al Gore and the Environment - Global Warming research papers are custom written to focus on any issue of environmental ethics or science you wish. China's Environmental Policy - China's Environmental Policy Research Papers help outline the current environmental policy of China in relation to political science and economic issues. Paper Masters writes custom research papers on Oil Spills During the Gulf War and delve into the environmental terrorism that Saddam Hussein and his Iraqi forces committed.